Every sport is in-season at the St. James, which soon will be adding baseball to the list of sports being played indoors, year-round. 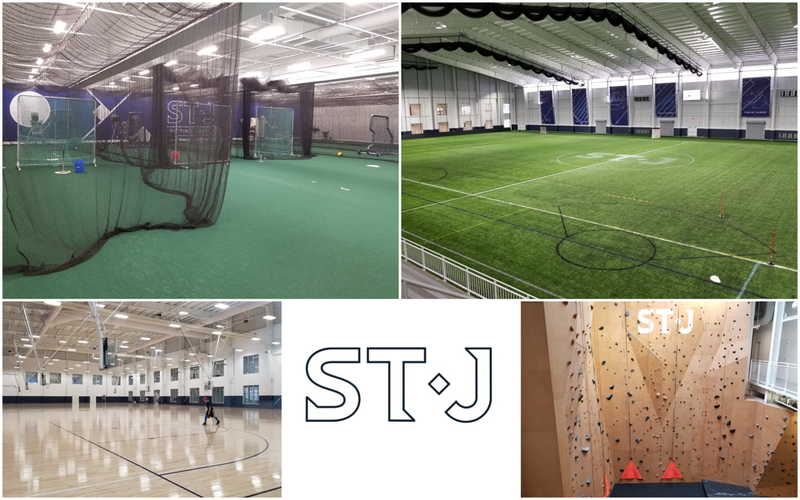 The St. James, located in Springfield, is looking to become the leading sports, wellness and active entertainment destination in the country and utilizes the top facilities in the area to offer weekly programs, instruction, clinics and camps to cater for athletes of all levels. Jake Moon, the director of baseball and softball at the St. James, is using his position and resources at the St. James to grow baseball and softball in the local community and offer a one-stop destination for players looking to develop their game. Moon also envisions playing live games indoors in the 110,000 sq. ft. field house in the near future. By using a turtle backstop to eliminate fly balls off the roof and taking on other facility adjustments, Moon and the St. James team plan on hosting baseball and softball games, tournaments, showcases and leagues in the field house. Along with access to the field house, the St. James offers an 8,000 sq. ft. hitting house with six batting cages for hitters and pitchers, equipped with pitching machines and the latest Rapsoda technology. Moon is also looking to add a HitTrax system along with incorporating data from HD Golf simulators to baseball and softball players for swing and throwing analytics. Baseball and softball players can sign up for programs designed specially for hitting, pitching and defense. Each course offers more advanced levels and athletes can progress and sign up for different classes that will benefit them. Athletes also have the option to work with St. James performance trainers to work on strength, speed and agility. “The players that have seen the best results are the guys coming in and working with our performance trainers and getting everything they need from nutrition to what they need to be doing in their workouts,” Moon said. Teams and programs can rent space in the St. James with the option to pick and choose exactly what they want to work on and in what space. Coaches also have the option to have a coach from the St. James or a trainer from the performance center aid in sessions. Looking to the future, the St. James will be offering youth travel teams for baseball and softball. Moon also wants to establish a collegiate team based out of the St. James complex to compete locally, but also teach the game to the next generation of players. Players are always welcome to sign up programs for basketball, football, soccer, lacrosse, hockey, rock climbing, swimming and combat sports throughout the year to develop different skills and abilities. Moon wants to use everything at the St. James to not just develop baseball players, but overall athletes. NVTBL will be hosting its first annual winter showcase with 30 plus college coaches at the St. James on Jan. 27 from 2-7 pm. For more information on the showcase or to register, visit our webpage. For more information on the St. James, visit thestjames.co.